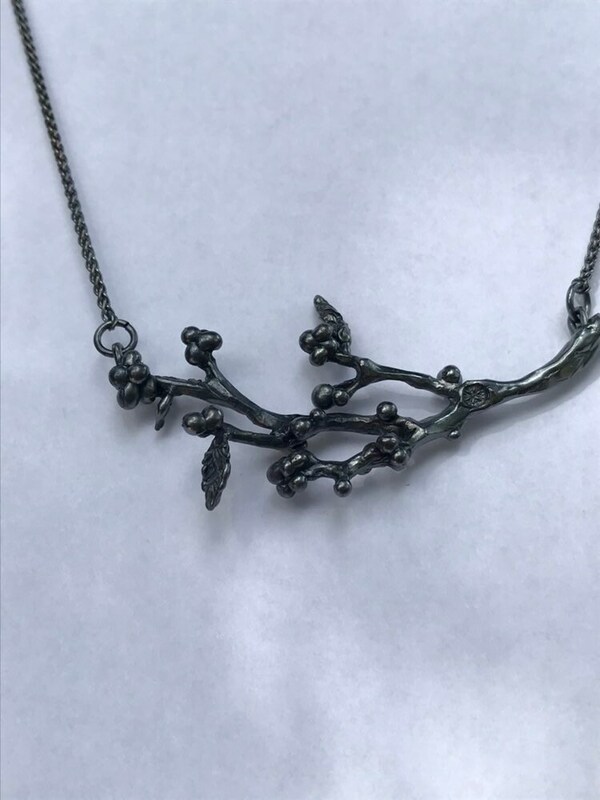 This beautiful Botanical pendant in sterling silver is shaped as a branch, inspired in a coffee branch with its leaves and berries. Hand carved and modeled in wax and later cast in sterling silver and hung on a sterling silver chain. Total pendant length aproxima 2 1/2 in.